Relationships can be highly beneficial in people’s lives. For best outcomes, they need to be face-to-face. 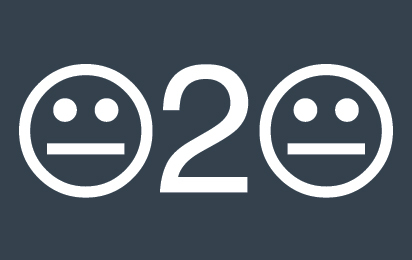 In the past 20 years, there has been a boom in research on happiness, sometimes called wellbeing or flourishing. A range of behaviours and mental patterns have been shown to improve happiness, including being physically active, expressing gratitude, being optimistic, helping others and being forgiving. For some of these topics, authors have written entire books explaining the research and its implications. Among all the methods of improving happiness, one of the most often cited is relationships. Research shows that positive interactions with others can make a huge difference to people’s lives. This includes family members, friends, neighbours, co-workers and many others, even extending to casual acquaintances and people met in commercial contexts, such as hairdressers and salespeople. A few years ago, in the happiness course run by Chris Barker and me, the vagaries of timetabling meant that part way through one of my classes, my students and I had to walk across campus to get from one classroom to another. We carried out observations and informal interventions during these walks. One of them was to observe the other walkers we saw on the way, and notice whether they were smiling or otherwise seemed happy. It was striking that those walking and talking in groups nearly always seemed happier than those walking alone. If this topic interests you, I recommend Susan Pinker’s new book surveying research on relationships, titled The Village Effect. 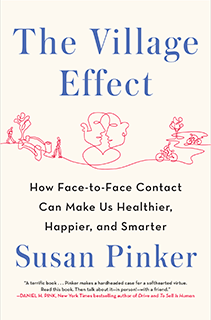 The subtitle gives a convenient summary of the main themes: How face-to-face contact can make us healthier, happier, and smarter. She provides a wealth of examples, case studies, findings and patterns to make the case for the benefits of personal relationships. She tells about communities in the mountainous regions of Sardinia, where life is traditional and exacting, where people have rich personal connections and where they live far longer than would be expected going by other lifestyle factors such as diet. Pinker uses this as an extended example, also citing much other research on the effect of relationships on longevity and physical health. The Sardinians are an exception, for they have maintained traditional patterns of village life in the face of incentives to “join the modern world.” There is a deep irony in aspects of contemporary economies. Higher standards of living can improve happiness, but also undermine it. The irony is that most people want greater happiness, yet the way they go about it can undermine it. An example is seeking a higher income. There is plenty of research showing that, above a certain level, greater income and more possessions make only a marginal difference to wellbeing, certainly far less than alternatives such as expressing gratitude or being mindful. Yet many people, in search of improved happiness, will take on a second job or move to another city at the expense of time with their family and friends. In the past few decades, there has been a big shift from face-to-face interactions to digital connections using email, texts, Facebook and host of other platforms, not to mention the long-standing attraction of television, partly supplanted by video games. 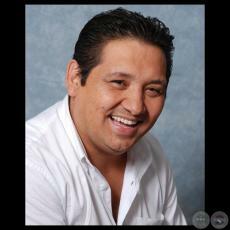 It might seem that social media, because they are interactive, are superior to the mass media of radio and television. Pinker quotes research about the advantages of face-to-face contact compared to digital contact. Such findings have significant implications in a range of areas. 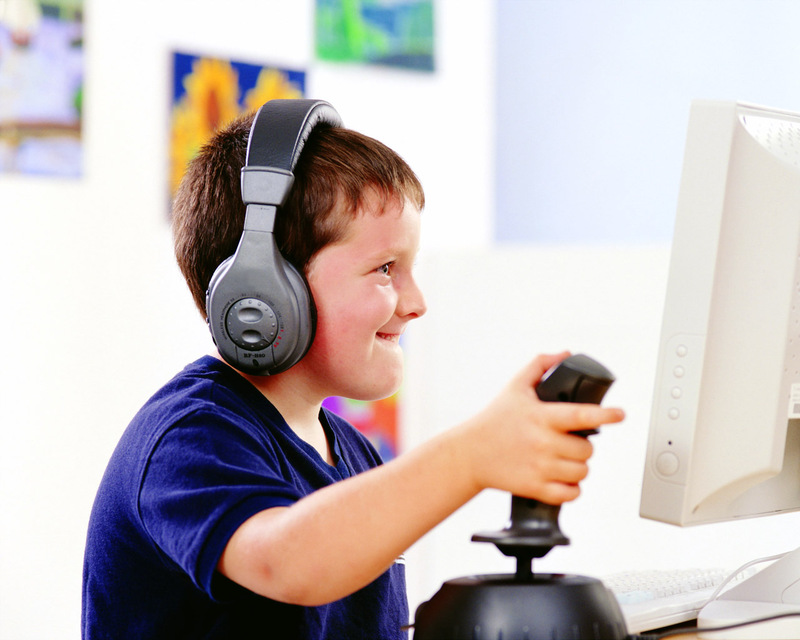 Children are especially in need of personal interaction to stimulate their developing minds, yet digital tools are proliferating and being used at ever younger ages. When it comes to formal education, face-to-face contact with teachers turns out to be crucial. Investments in better teachers appear to be far better for improving learning outcomes than investments in advanced technology. Many Australian universities, being squeezed for cash, have cut back on class contact. Small tutorials, with maximum interaction between teachers and students, are made larger, and sometimes tutorials are abandoned in favour of lectures, or replaced by online interactions. Evidence cited by Pinker suggests that it would be better to get rid of the lectures and retain the tutorials — at least if learning is the goal. Given that there are numerous ways to improve happiness, are relationships really so fundamental? There may be some loners who can be perfectly happy because they are great meditators or have found an activity that provides a satisfying experience of immersive involvement. Surely they can be happy with low levels of face-to-face contact. Pinker addresses this, for example noting that although people on the autism spectrum have very poor relationship skills, they can still benefit from improving those skills and interacting more. However, I would not assume this is essential. No doubt even the most ungrateful person can become happier by becoming better at expressing thanks, but this is not the only way to become happier. More generally, Pinker devotes a chapter to the negative aspects of relationships. Face-to-face connections can be highly damaging in some contexts, with fraudsters taking advantage of the trust engendered by social similarity. 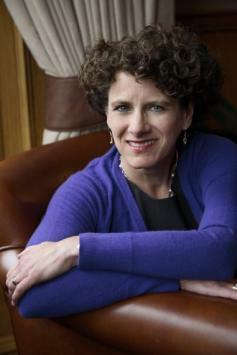 Pinker’s overall message is to try to maintain face-to-face connections. Talk to the colleague in the next office rather than sending an email; take time to visit friends; have meals with family members, in the same room! However, wider trends are working in an opposite directions. Individuals can improve their own lives by building their personal connections, but must do this in the face of the relentless encouragement to use digital media and to pursue careers at the expense of time with friends and family. According to Pinker’s argument, much of the decline in face-to-face interaction is due to displacement by technology, especially the ever-present screens in people’s lives. So technology, while making interaction at a distance far easier, is reducing something valuable. For me, there remain further questions: are some sorts of technologically-mediated interaction considerably better than others, and could future media simulate being in a room with someone? The loss of personal connection accelerated with the rise of television, so people watched screens with which they had no interaction. Watching television with others in the room offers the possibility of some live discussion, but it is increasingly common for each member of a household to have their own screen in their own room. The telephone offers a far more interactive experience. Voices are incredibly rich with meanings independent of the words spoken, so there can be a personal connection at a distance, though visual and tactile dimensions are missing. Texting and email are more abstract forms of interaction — but at least they are personal, unlike television. Prior to email, people used to write letters, which include a tactile component, and a personal one when handwritten. But letters took a long time to arrive compared to a text. How do these media compare? Then there is Skype, providing an aural and visual interaction much richer than either telephone or writing. Does it partially substitute for the real thing? The next stage is virtual reality, in which avatars interact with each other in realistic simulated three-dimensional spaces. Virtual reality technology is available today, but not widely used to mimic face-to-face interactions. In principle, it could eventually simulate nearly every aspect of human contact, even including touch and smell. It will never be exactly like physical presence, but will realistic simulation compensate? Not if people aren’t honest about themselves. Pinker cites research on online dating showing that 80% of people misrepresent their age, weight, height, appearance, income or other attributes. Rather than look to technology to solve a problem exacerbated by technology, the alternative is to reassert the importance of physical presence. Pinker notes that affluent parents are now giving their children the advantage of schools and teachers with more personal interaction. There is a certain irony in efforts to recreate the benefits of face-to-face interaction. Many of the poor people in the world live in extended families and in small communities where there are numerous routine personal interactions. They have the benefits of what Pinker calls “the village effect.” Do they have to pass through an isolating development transition, or are there ways to “develop” that maintain the advantages of face-to-face? Thanks to Don Eldridge for valuable comments. James Jasper’s book Protest provides a valuable introduction to a type of activity around us all the time. 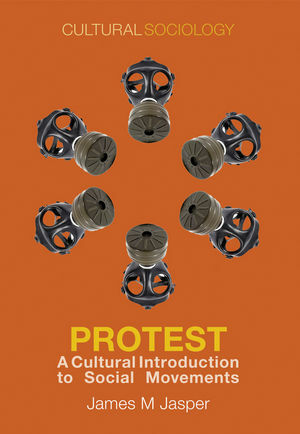 I recently read James M. Jasper’s book Protest: A Cultural Introduction to Social Movements. It is written to be used as a textbook, but in an engaging style. I found it a useful refresher covering issues I’ve studied for many years. Reading about any topic can make you more likely to notice relevant examples, and so it was for me in reading about protest. On the day I finished reading Protest I received an email from Antoon De Baets of the Network of Concerned Historians: PEN International Writers in Prison Committee reported on the 30-month prison sentence received by a Paraguayan writer, Nelson Aguilera. His crime: alleged plagiarism! According to the PEN Committee, experts say no plagiarism was involved, so obviously there must be some other factor involved – a connection between the complainant and the prosecutor. Recipients of the appeal were invited to write to the president of Paraguay. It is a type of protest, along the lines of the efforts of Amnesty International. Then there was an appeal from my union, the National Tertiary Education Union, to send letters to politicians to stop passage of legislation to deregulate fees at Australian universities. It is a typical pressure technique. I also had just finished providing assessments concerning the Navco database of nonviolent challenges to governments. Erica Chenoweth and Maria J. Stephan carried out a path-breaking study comparing nonviolent and violent challenges to repressive regimes (as well as secession and anti-occupation struggles). They compiled a database of 323 struggles between 1900 and 2006. 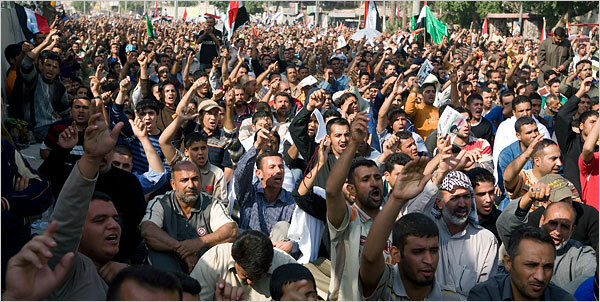 In their 2011 book Why Civil Resistance Works, they showed that anti-regime struggles were far more likely to be successful if they relied primarily on nonviolent methods such as rallies, strikes and boycotts. Furthermore, this conclusion held up regardless of how repressive the regime was: nonviolent action is just as effective against the most ruthless governments. Erica is now updating and augmenting the database. She sent me and various others a list of over 100 additional nonviolent anti-regime struggles, some in the years since 2006 and some from earlier years that were not included in the original database. There were cases from Algeria and Armenia through to Western Sahara and Yemen. I had to try to judge whether each struggle was maximalist (seeking to change the government), constituted a campaign, was nonviolent (rather than violent), was successful or unsuccessful, and warranted being in the database. This was a challenging exercise, because quite a few of the cases did not fit neatly into the target categories and because online information was less than ideal. The exercise certainly made me aware of the remarkable capacity of citizens to organise for major political change, using an eye-opening variety of techniques with amazing courage against brutal governments. And in many of the cases, these brutal governments lost the struggle. Protest covers a standard set of topics: defining social movements, the role of meanings in their operation and presence, the wider social context, recruitment, maintaining operations and momentum, making decisions, interactions with other players, and winning/losing. Jasper’s cultural approach has a couple distinctive features. He emphasises the roles of meanings for participants, such as how they see themselves; these meanings draw on beliefs and images in the surrounding culture. Associated with this, he emphasises the role of emotions in social movement dynamics, an area in which he is a pioneering researcher. One thing that comes across strongly in the book is that activism isn’t all that easy. Movements don’t start or continue by accident: lots of committed people work to bring an issue to public attention, pressure governments or directly implement solutions. Of special interest are social movement organisations (SMOs). Some well-known examples are Greenpeace and Amnesty International, and there are thousands of others. 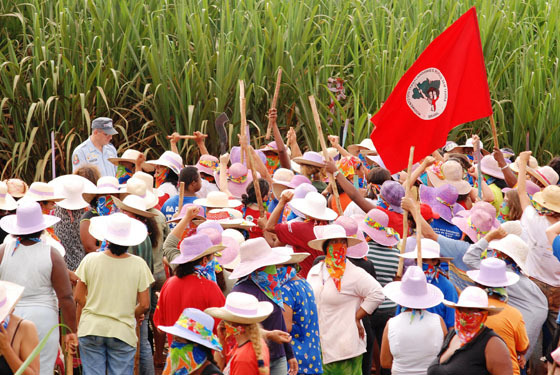 SMOs are not the same as social movements, which typically incorporate multiple SMOs, independent activists and supporters, and occasional participants. Movements are also more than people and organisations. They involve knowledge, beliefs, assumptions, symbols and many other intangibles. Occasionally I read a letter to the editor saying, “Where are the protests about X?” where X might be street violence, discrimination or aggression in a foreign country. The letter writers are often decrying what they see as double standards: if environmentalists are protesting about whaling, why aren’t they protesting about land degradation? I assume few of these letter-writers have ever tried to organise a rally. If they had, they would realise how much effort it requires – especially the effort to convince people to attend – and even then a rally does not automatically translate into media coverage. People who have been involved in social movements often have a deep understanding of how they operate and what they are up against. So what is there for them to learn from Jasper’s book? The advantage of a straightforward, well-written text is putting personal experiences in context. After all, there are hundreds of different social movements, with quite a few commonalities but also a number of differences. Personally, I found it useful to go through Protest as a refresher about the basics, and an update concerning theoretical developments that might offer insight into movements. On only one point would I differ significantly in emphasis. Jasper distinguishes between two categories of protest methods, calling them “nice” and “naughty.” Nice protest methods operate within the system and accepted by authorities, for example lobbying, voting and petitions. 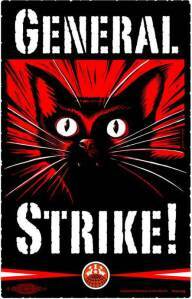 Naughty methods include wildcat strikes, massive rallies and assaulting police: they transgress norms about normal or proper political behaviour, and are seen as threatening. What this distinction misses is the expanding body of research on nonviolent action, which refers to non-standard methods of social action that do not involve physical violence against opponents. (Nonviolent protesters often suffer violence from police and others.) Methods of nonviolent action include rallies, strikes, boycotts, fasts, sit-ins and setting up alternative political institutions, among others. The dynamics of nonviolent action have been studied in some depth, and diverge in significant ways from the dynamics of violence. For example, police violence against peaceful protesters is likely to generate public outrage, whereas police violence against violent protests is not – even if the police violence is much greater. 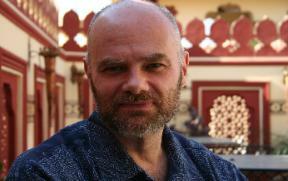 The choice is not just between naughty and nice but also between violence and nonviolent action. In the late 1970s, I was active in the Australian anti-uranium movement, and after a number of years started reading social analyses of the movement, and was most disappointed: there was nothing I felt I didn’t already know. This convinced me that there’s nothing quite like being in a movement to understand movement dynamics. However, that was a long time ago, and research into social movements was far less developed than it is today, and I don’t recollect any overview with many insights such as Protest. Social movements are central to many of the advances that we take for granted today, including overcoming slavery, preventing nuclear war, and challenging racial discrimination and the subjugation of women. I recommend Jasper’s Protest both for movement participants to get a broader view of what they are part of and for outsiders who want a sense of what really goes on in movements.